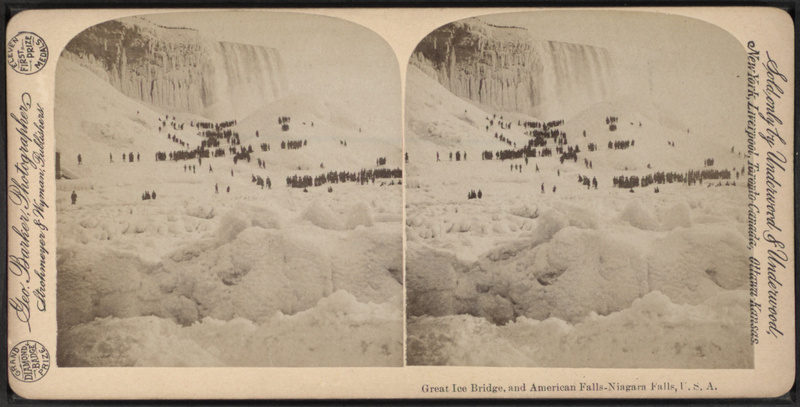 Whether or not much of Horseshoe Falls freezes is of course dependent upon climactic conditions. 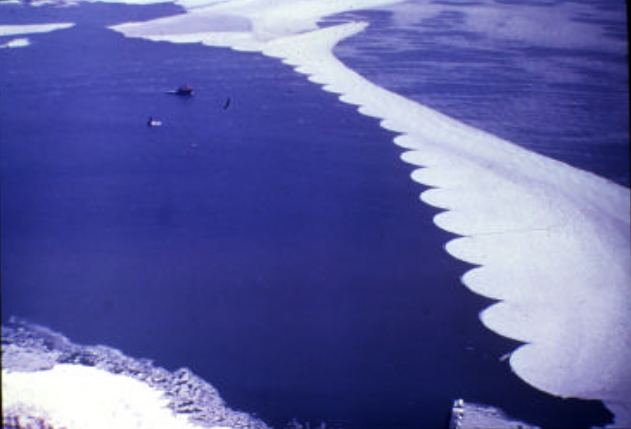 But the ice formation process is also highly regulated by humanity. 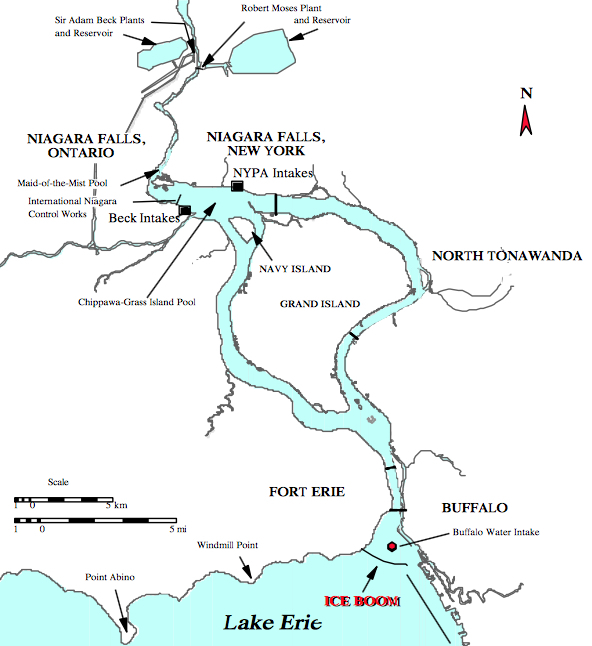 Thus, like the actual waterfalls themselves, the ice regime at of the Niagara River is a sort of borderlands hybrid envirotechnical system. 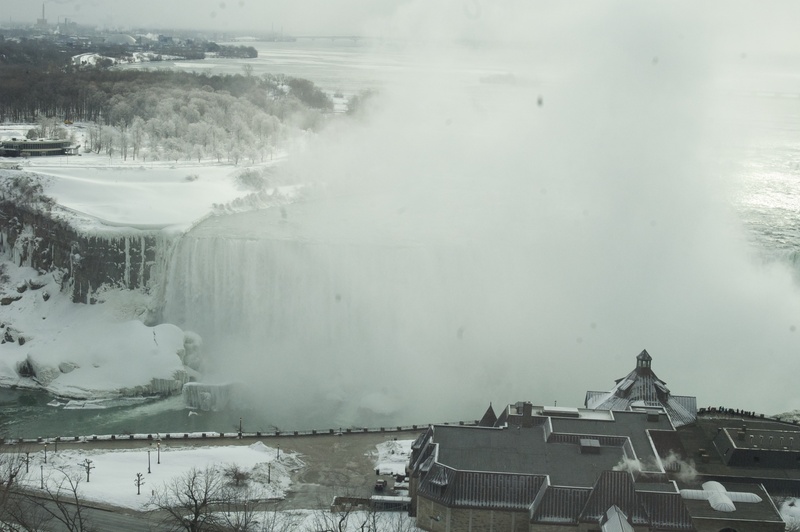 So should we ruin the illusion of the tourists flocking to see the ‘frozen’ Niagara? 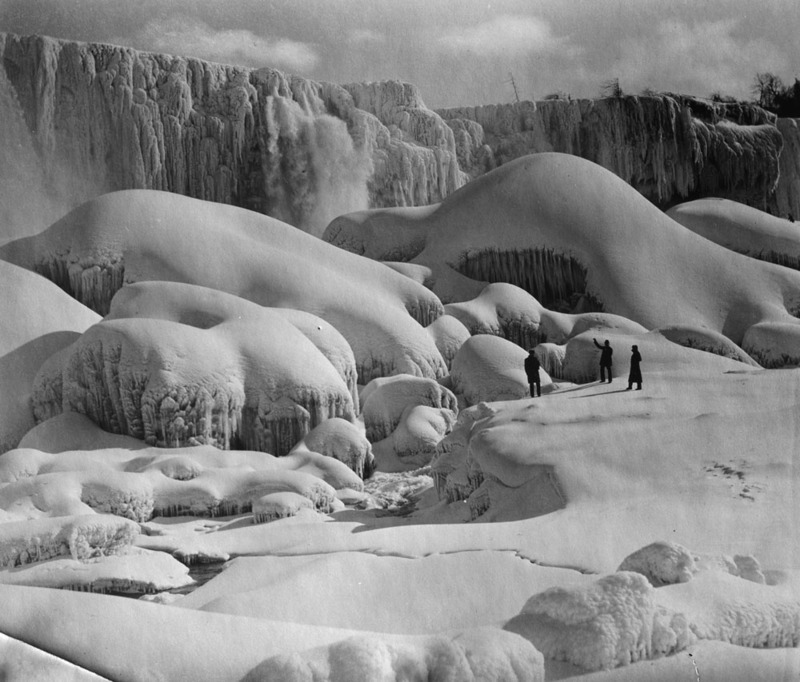 If they had shown up a little more than a century earlier, they could have been dancing and socializing at the base of the waterfall. But they might also have ended up floating downstream toward the whirlpool on a raft of jagged ice. Probably wise to settle for the view from Table Rock or Terrapin Point. And think about the ways we try to manipulate the natural world. Fabulous article. Very informative and well written. Thanks from a Niagara Frontier Gal from The Ugly Side!